When we use webpack to generate our bundles in many cases in our development environment it is convenient to show information about the size of each module, the bundles themselves, the time it takes to carry out the process, if we are transpiling the code through babel for example or using postcss to preprocess our style sheets. The options that we currently have to be able to show this information are made through webpack plugins. I will give three simple alternatives to be able to show this type of information. 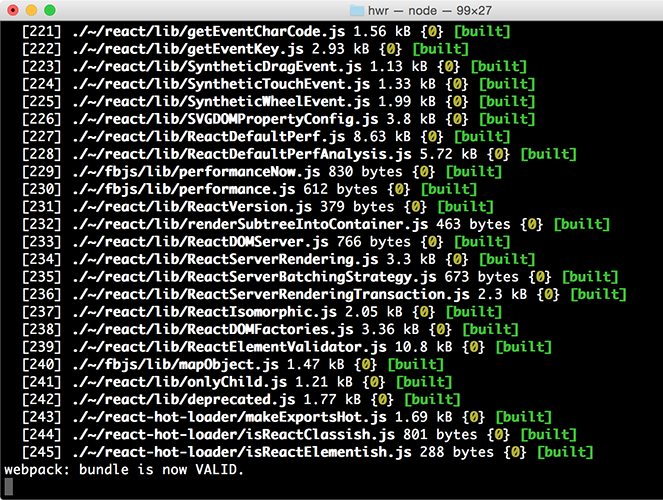 Now we have to call webpack-dashboard from your package.json. If your dev server looks like this. We must change it for this. 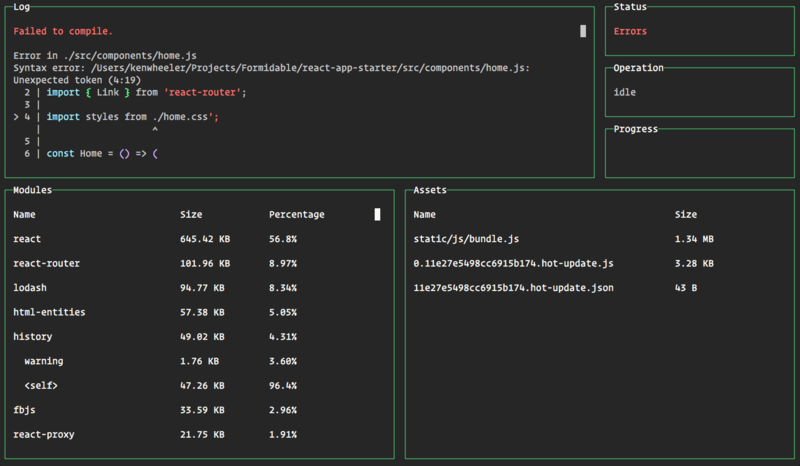 "dev": "webpack-dashboard -- node index.js"
As I said before, I think the proposal to have a dashboard to obtain relevant information about our projects seems very good. Here I leave some tweets that were written at the time of its release. This is another option that is quite simple but when you work on a large project and the building time increases, even if it is to show a progress bar, it improves the developer experience a lot. You can see the project in github to see more configuration options. And finally, if you want to have something even simpler or more custom, we can use the progressplugin provisto por webpack . That is basically inserted as a plugin in our webpack configuration file. We can use this hook to show progress information, where the percentage is a value between 0 and 1 that indicates the completeness of the process. In this case I want to show the information in a single line so I use \r.